Recently a proclivity of the resurrection of old school metal can easily be observed; oodles of black/thrash metal bands are emerging from different parts of the world as a part of this movement. It is somehow predicted that most of these newcomers are just following the footsteps of the 80’s ancestors; however, some bands among the movement are capable of creating compulsive music within the boundary of the old school black/thrash metal. 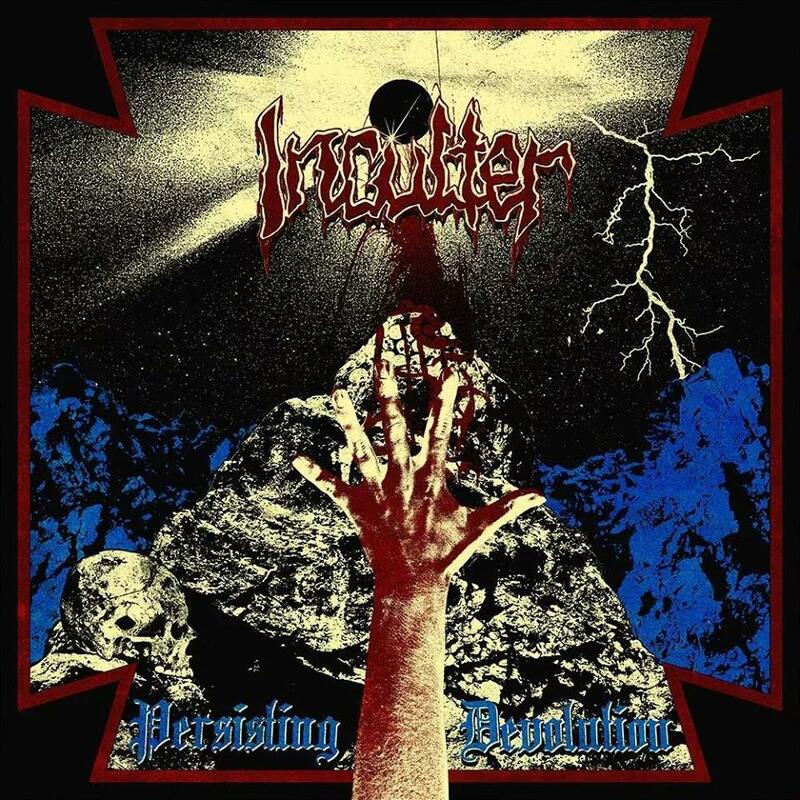 Inculter of Norway is such a band, creating the vicious form of primitive styled black/thrash metal in a decent way. “Persisting Devolution” is the first full length of the band and the juvenile blackened thrashing trio has aggressively thwacked the whole shebang with their ten vengeful tracks. From the very dawn of the album, the listener will be buried inside the overwhelming amount of anarchy present in the album; yet, the intro, “Prophet Chants Intro” is an exception as it gives the listener only a baleful alarm about the coming blizzard. Speedy riffs of the album backed up with demonic vocal, and continuous ravaging drumming are forceful enough to lead the listener into a devastating neck wrecking experience. The instantaneous presence of some evil summoning hypnotic solos is a remarkable aspect of most of the tracks. Undisputedly, these solos together with the rhythmic bridges captivate me. No remarkable bass work has been found, but the bass has almost positively supported the overall structure of the band’s music. The ugly, raw compositions of Inculter are the reminiscent of their Norwegian contemporaries like Aura Noir, Nekromantheon, Deathhammer, Condor, and the likes. The band has excellently maintained the barbaric atmosphere of the music in the production. Tracks like “Commander”, “Traducers Attack”, “Mist of the Night”, and “Endless Torment” are at the most mentionable features of the release. “Commander” can be placed in the mountaintop position on this release. The starting bridge of “Traducers Attack” may generate a bellicose mode. The monumental solos present in “Mist of the Night”, and “Endless Torment”, make both of the tracks addictive. Sadly, I have lost the ground on the last two tracks, maybe because of the typical structure and absence of the solos. Well, it can be regarded as a minor deficiency. To all intents and purposes the band has not done something revolutionary, but that was not even the objective of the band; at least I do believe it. Now, what is the most positive side of the release? It is the way the band is making the music and even though it is not unique, it is of course fascinating. The release should be received with open arms by the listeners of this style of extreme music.